(Lanka e News -15.June.2018, 10.30PM) The media report that president’s secretary Austin Fernando handed over his letter of resignation, but president Gamarala has still not approved it is false , said Austin Fernando. 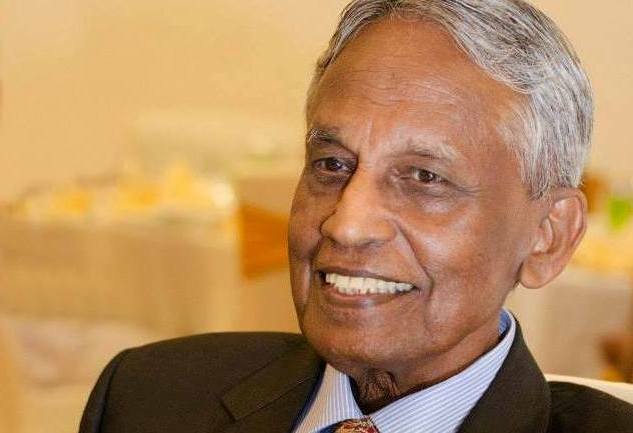 Austin Fernando revealed this when Lanka e News inquired about this from him.When Lanka e news phoned Fernando on the 12 th morning he was celebrating his 76 th birthday. Fernando said, some moments ago the president visited him to wish him and even offered him a bouquet of flowers while adding , the news report is a bogus story spread by his enemies who are around the president . It was Austin who had been the assistant district secretary and president Gamarala’s chief when Gamarala was performing duties as a grama sevaka which was president’s first job. President’s secretary Austin Fernando is also functioning officially as chairman of Telecom Regulatory Commission which is under the president who is currently using media suppression as a weapon to achieve his selfish ends. It is significant to note , when Lanka e News was blocked and TNL was sealed , and when decisions were taken on both occasions , Fernando was overseas. Lanka e News political analyst Wimal Dheerasekera in his article recently openly demanded Fernando to resign his post viz a viz the media suppression of Gamarala.